The greatest pools to swim are definitely indoor olympic pools. Not all countries would be the same, and swimming regulations and rules are changing from one country to an additional. Are you a typical swimmer? 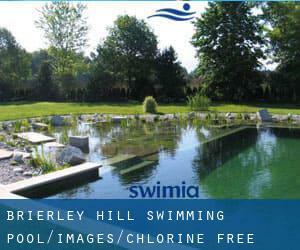 Do you visit exactly the same Chlorine Free Pools in Brierley Hill? Please check that all the details for your aquatic centre are correct and contact us if you obtain any mistake. We currently have the following Swimming Pools, but we are often grateful for any corrections or contributions. Get in touch by way of our contact form. 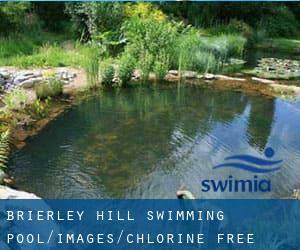 Please have a look to the Chlorine Free Pools in Brierley Hill swimmers like you could have reported. Is your pool not listed? Contact us to ADD IT. It's free! Swimia.com wants your feedback to ensure all the information and facts is valid, because maybe this pool is no longer open towards the public. Updated on 2019 Brunswick Street , Knutton , Newcastle - under - Lyme , England , UNITED KINGDOM (Postal Code: ST5 1HG). Among all the activities offered by the centre, if you are interested in swimming you can enjoy 25 meters, 8 lanes, 1.1 meters - 2 meters depth, 1.1 meters - 2 meters depth, Non-Chlorine Sanitized, Indoors. If you need to get in touch with this Swimming Pool, email address and phone number are both number. Unit 4 , The Printworks , Withy Grove , City Centre , Manchester , England , UNITED KINGDOM (Postal Code: M 4 2BS). Among all the activities offered by the centre, when you are interested in swimming you can appreciate 20 meters x 8 meters, Non-Chlorine Sanitized, Indoors. Just in case you need to make contact with this Pool before dropping by, we only know the phone number. Barton Dene , Marlborough , England , UNITED KINGDOM (Postal Code: SN8 1PB). Among all the activities provided by the centre, when you are thinking about swimming you can appreciate 25 meters x 9 meters, 4 lanes, Non-Chlorine Sanitized, Indoors. If you might want to contact this Swimming Pool, email address and phone number are both number. Chelsea Village , Fulham Road , London - Central , England , UNITED KINGDOM (Postal Code: SW 6 1HS). Among all the activities provided by the centre, if you are considering swimming you can enjoy 25 meters x 10 meters, 4 lanes, 1.4 meters uniform depth, 1.4 meters uniform depth, Non-Chlorine Sanitized, Indoors. Just in case you need to contact this Swimming Pool just before dropping by, we only know the phone number. Oxford Business Park North , Garsington Road , Cowley , Oxford , England , UNITED KINGDOM (Postal Code: OX4 2JY). Among all of the activities provided by the centre, if you are thinking about swimming you can take pleasure in 25 meters x 12 meters, Non-Chlorine Sanitized, Indoors. Just in case you want to get in touch with this Swimming Pool prior to dropping by, we only know the phone number. Updated on 2019 Church Hill , Helston , England , UNITED KINGDOM (Postal Code: TR13 8YQ). Swimmers like you reported 25 meters x 13 meters, 6 lanes, 0.9 meters - 1.9 meters depth, 0.9 meters - 1.9 meters depth, Non-Chlorine Sanitized, Indoors. Phone number and e mail address are number for this Pool. Updated on 2019 21A Piccadilly , Piccadilly , London - Central , England , UNITED KINGDOM (Postal Code: W 1J 0BH). Among all the activities provided by the centre, when you are interested in swimming you'll enjoy 50 feet x 35 feet, 1 meters - 2 meters depth, 1 meters - 2 meters depth, Non-Chlorine Sanitized, Indoors. Just in case you want to get in touch with this Pool before dropping by, we only know the phone number. Carlos Place , Mayfair , London - Central , England , UNITED KINGDOM (Postal Code: W 1K 2AL). This sports centre gives 18 meters, Non-Chlorine Sanitized, Indoors. For this Swimming Pool, only phone number is number here. Updated on 2019 Tetbury Road , Cirencester , England , UNITED KINGDOM (Postal Code: GL7 1US). This sports centre offers 25 meters, 6 lanes, Non-Chlorine Sanitized, Indoors. Contact information for this Swimming Pool like phone number and email address are number. Henley Road , Marlow - on - Thames , England , UNITED KINGDOM (Postal Code: SL7 2EY). Among all the activities provided by the centre, if you are considering swimming you can enjoy 20 meters x 10 meters, Non-Chlorine Sanitized, Indoors. Just in case you would like to get in touch with this Swimming Pool just before dropping by, we only know the phone number.